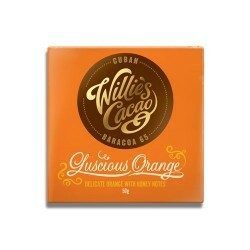 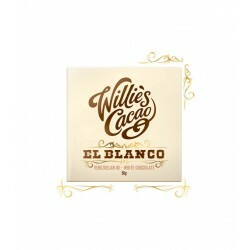 Willies Cacao - Luscious Orange 65%, 50 gr. 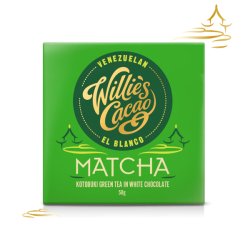 Willies Cacao - Matcha, 50 gr. 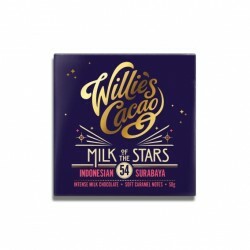 Willies Cacao - Milk of the Stars 54%, 50 gr. 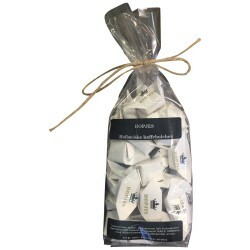 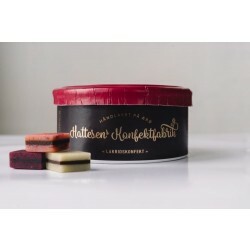 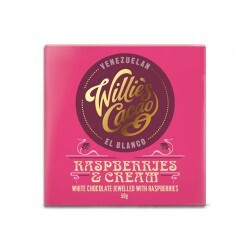 Willies Cacao - Rasperries & Cream, 50 gr. 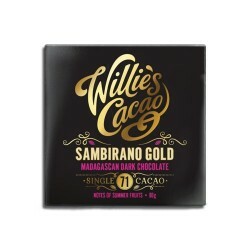 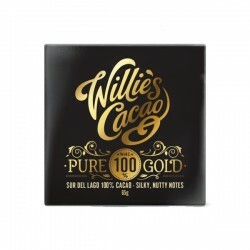 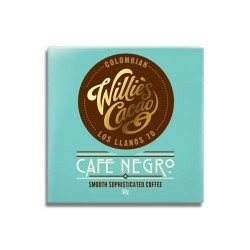 Willies Cacao - Sambirano Gold 71%, 50 gr. 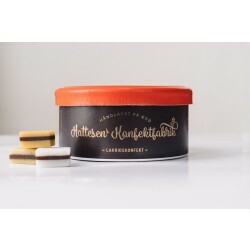 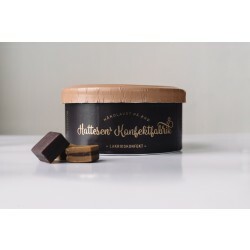 Willies Cacao - Sea Flakes 44%, 50 gr.